Beck Logistics has its own multi-client warehouse with a floor area of over 4,000 m², for the storage and transhipment of all your products, including the provision of value added services. 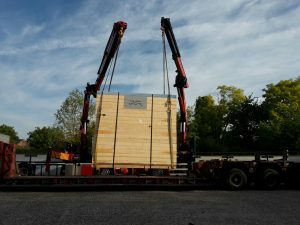 In this regard, we particularly well-equipped to handle oversized industrial goods, such as plant and machinery, generators, tanks, boats, transformers, automotive components, etc. 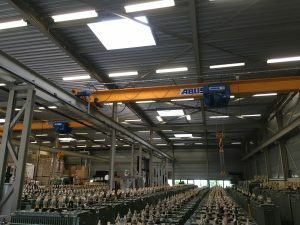 the overhead cranes fitted in our warehouse are capable of flexibly and safely lifting exceptionally heavy items. In addition, we have another 4,000 m² dedicated<?>eigen and 5,000 m² of outdoor storage space for industrial goods that cannot be stored indoors due to their exceptional dimensions and/or characteristics. 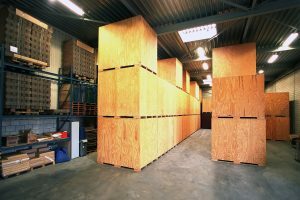 Do you consider it no problem to share the storage space, or do you require your own dedicated warehouse space? Beck Logistics can offer you both options. Of course, shared storage space (sharing economics) usually offers you attractive financial benefits. However, we would also be pleased to discuss with you participation in your own warehouse (on-site logistics), which would offer both of us other advantages. We are basically flexible logistics thinkers, with whom almost any efficient solution is discussable. Beck Logistics also has the appropriate facilities to deal with the storage, transhipment and value added services of (non-food) FMCG. Our experienced staff devote the utmost care to the storage, transhipment and handling of your goods. In this regard, our site in Nijmegen is the perfect operational base for operations throughout the Netherlands – and far beyond. Efficiency always pays off. 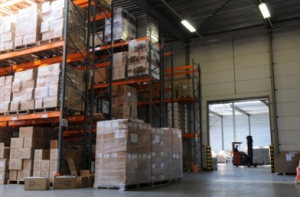 And our warehouses therefore offer you an extensive package of logistics services, including the transportation of your products to the end-user. And if your products need to be (re)packaged or even assembled during this process, then that is no problem either. We have staff who can carry this out for you both swiftly and meticulously. In addition, we are suitably equipped to vouch for any form of global export packaging which we carry out for you.